A green room is an area in a music venue that the bands will prepare themselves before a show and relax afterwards. 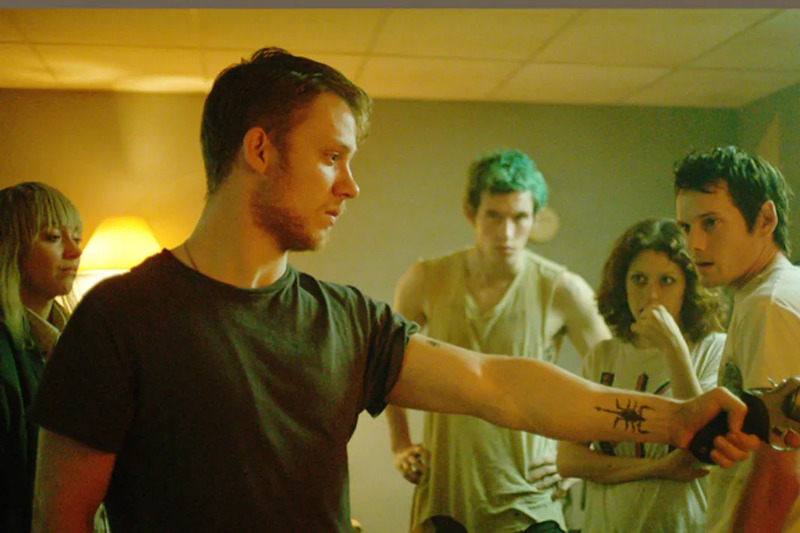 In the film ‘Green Room’, a punk rock band stumbles upon a dead body in their green room and then find themselves in a fight for their lives against some racist skinheads. ‘Green Room’ premiered at the Sundance Film Festival and has been getting some great reviews (Sits at a 92% Fresh currently). The film is directed by Blue Ruin director Jeremy Saulnier and stars Anton Yelchin and Imogen Poots as two of the members of the band getting attacked and Patrick Stewart in a surprising role as a Neo-Nazi Horror villian.